My great grandmother Betty was, above all, a seamstress. She made clothes of all shapes and sizes, but her favorite thing to sew were gowns. She made all kinds of fancy dresses for all different occasions, and even took a class in making wedding gowns. 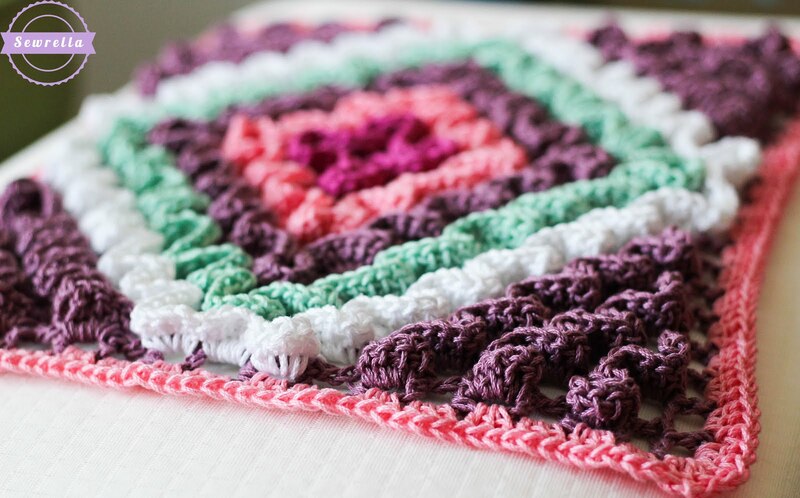 So when I was deciding what part of her life I wanted to draw inspiration from for this trivet, I thought of her many flowing, ruffled handmade gowns. 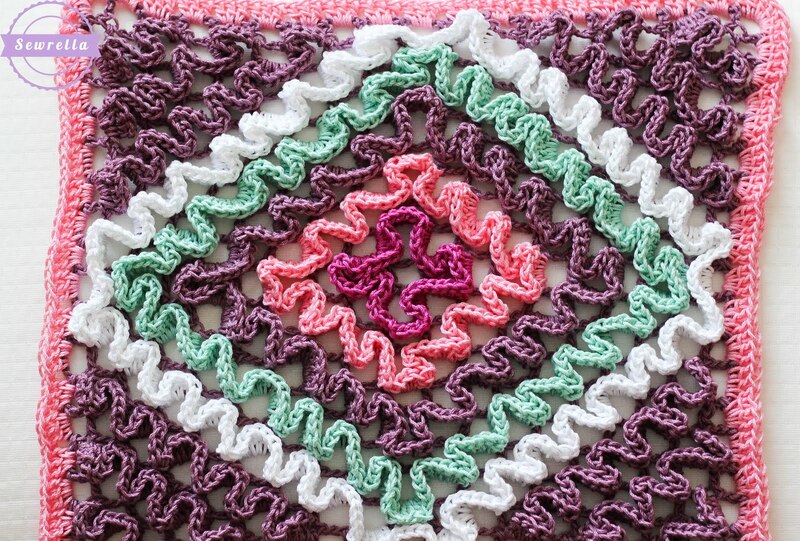 I wanted this trivet to resemble the detail and feminine flair that her gowns always had. Enter, the wiggle stitch! 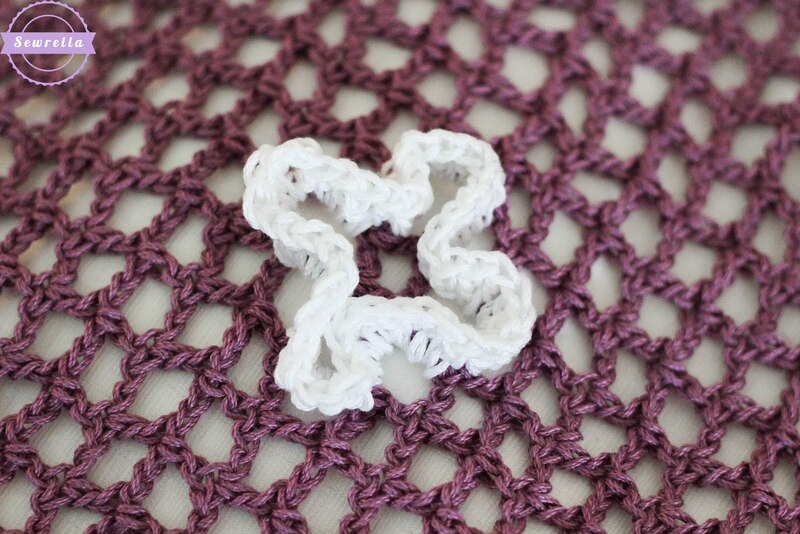 You don’t need experience with this stitch to make this trivet, it is just a series of double crochets. Neat, huh?! 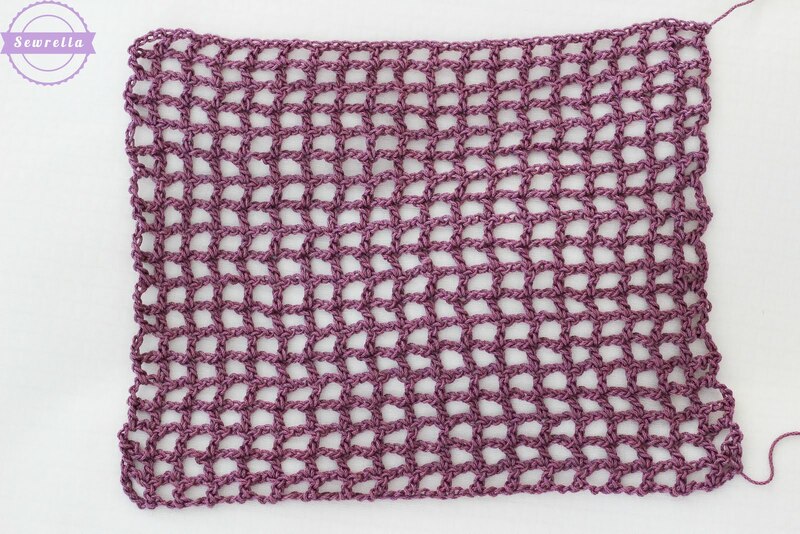 Basically you first create a trellis or mesh and then work stitches on the bars of the mesh back and forth. This makes the stitches stand up tall, giving a bit of lift to the trivet. I wanted this trivet to have loads of texture so that when you set something hot on it, it would allow air to circulate and cool the bottom of your pot or pan – avoiding scorching your table! Round 1: Join white yarn to this center bar, Ch 3, 4 Dc on this bar. 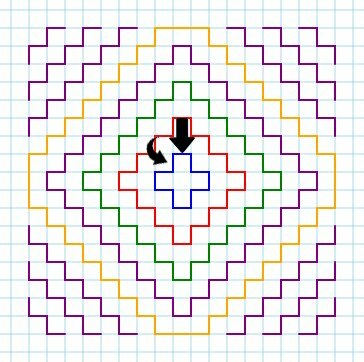 Follow the graph below in a counter clockwise direction, beginning with the top black arrow. Only work one color or round of stitches at a time, working 5 Dc over each bar indicated. Slip stitch to the first Dc to join this round. Rounds 2-5: Continue in the same manner, working 5 Dc over each bar indicated on the graph above. Outside rows (indicated above in purple in the corners of the graph): Work 5 Dc over each bar indicated, finish off, and begin the next row. 3 Dc in each Ch space around, in corners work 6 Dc, sl st to join, finish off, weave ends. 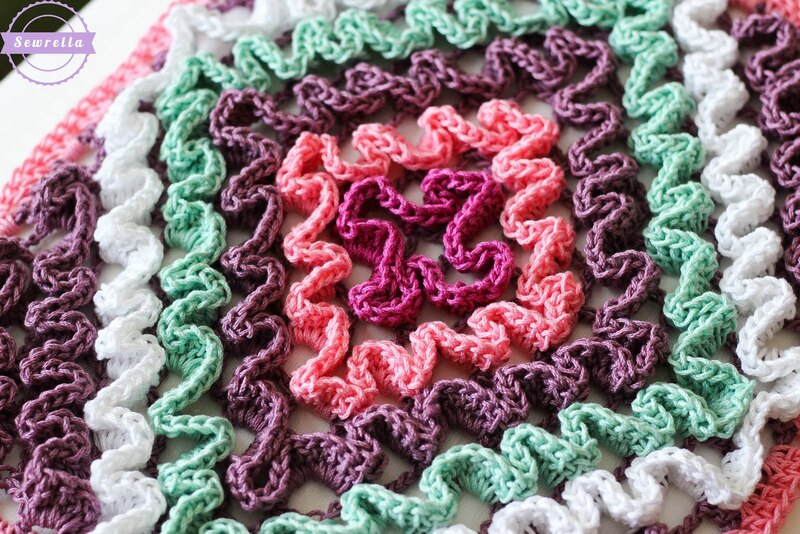 I hope you all enjoyed this ruffled trivet! Don’t you just love the wiggle stitch? I just found this pattern and I am in awe. I love challenges, and this is beyond a challenge. I have been crocheting for more than 60 years, and I have never seen such a beautifully creation as this. I am going to take this challenge. It may take a while, but I will post when completed. Thank you for this way-out pattern from your grandmom.